The Toyota RAV4 is a compact crossover SUV (sport utility vehicle) produced by the Japanese automobile manufacturer Toyota. This first compact crossover SUV made its debut in Japan and Europe in 1994, and in North America in 1995. The vehicle was designed for consumers wanting a vehicle that had most of the benefits of SUVs, such as increased cargo room, higher visibility, and the option of full-time four-wheel drive, along with the maneuverability and fuel economy of a compact car. Although not all RAV4s are four-wheel drive, RAV4 stands for “Recreational Active Vehicle with 4-wheel drive” because the aforementioned equipment is an option in select countries. In most markets, the RAV4 is the only compact SUV or crossover available from Toyota. 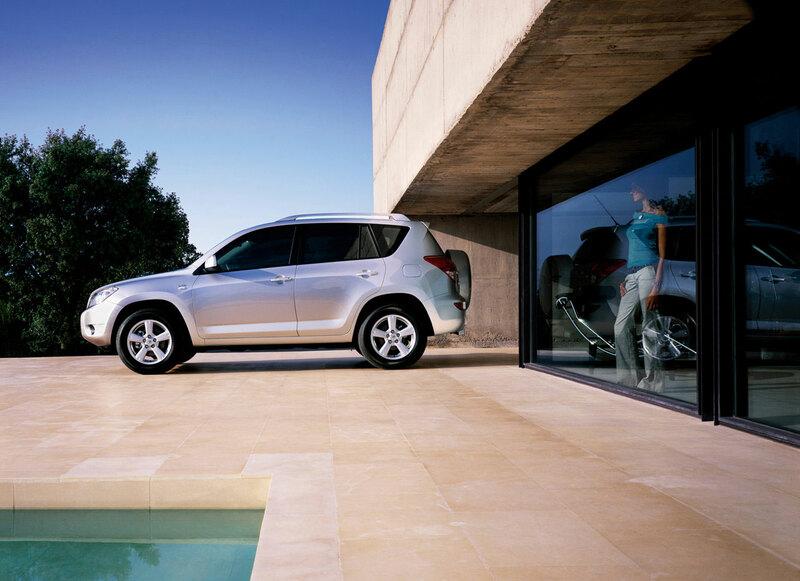 In other markets, it is the crossover counterpart of the Toyota FJ Cruiser. Since the 2006 third generation model, Toyota has offered both short- and long-wheelbase versions of the RAV4. Short-wheelbase versions are sold in Japan and Europe; long-wheelbase versions in Australia and North America. Toyota of Japan also sells the longer-wheelbase version as the Toyota Vanguard at Toyopet Store locations. Japanese versions are sold at two different Toyota Japanese dealerships, called Toyota Corolla Store and Toyota NETZ Store.